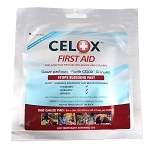 QuikClot Hemostatic Dressing is a soft, white, sterile, 4-ply nonwoven gauze dressing impregnated with kaolin, an inert mineral that does not contain animal or human proteins or botanicals. 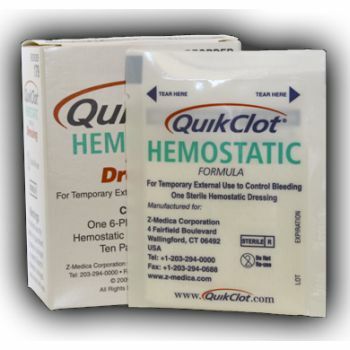 Each QuikClot Hemostatic Dressing is packaged in an easy rip package and is indicated for temporary external use to control moderate to traumatic bleeding. 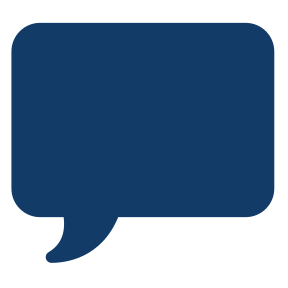 The easy-to-use dressing contours to fit any wound, can achieve hemostasis in as little as three minutes, and is quickly removed or secured when desired. Engineered from the same technology as QuikClot Combat Gauze, which is the only product used by the US Military, QuikClot Hemostatic Dressing stops bleeding rapidly and has saved hundreds of lives.